What Is The Cause of the GranuFlo Recall Lawsuit? In March, 2012, Fresenius Medical Care warned dialysis centers that one of its products, called GranuFlo, could cause heart failure, or death. That in itself may be alarming. But still more disturbing is an internal memo that has come to light, showing that the company knew about the risk months, or even years earlier, but did not share these risks with the public. In fact, Fresenius Medical Care had already warned doctors in the company’s own dialysis centers of the deadly risk in November, 2011. It informed doctors in other clinics only after an anonymous tipster gave the U.S. Food and Drug Administration a copy of that in-house warning. The internal memo said that 941 patients suffered cardiac arrest in Fresenius clinics in 2010. The Fresenius medical staff concluded that patients with high levels of bicarbonate in their blood, a symptom associated with GranuFlo, had about six times the risk of cardiac arrest. Lopez McHugh is currently accepting Granuflo recall lawsuit cases involving dialysis patients who suffered a heart attack or other cardiovascular event shortly after a dialysis session. If you or a loved one have been hurt by Fresenius Medical Care, we can help. The FDA issued a Class 1 recall for Granuflo in June, 2012, but the damage was already done for patients who suffered health problems from the product. Q: Who is Fresenius Medical Care? A: Fresenius Medical Care is a German company that treats more than a third of the estimated 400,000 Americans who receive kidney dialysis. In addition to maintaining its own clinics, it provides supplies to other clinics. In fact, Fresenius is the country’s leading supplier of dialysis machines and disposable products. The company’s 2010 revenues exceeded $10 billion. A: Dialysis is a treatment for people in the later stage of kidney failure. 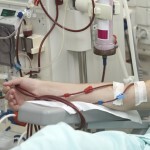 It involves a machine that perform the functions ordinarily carried out by healthy kidneys: cleaning the blood and removing wastes and excess fluid from the body. One of those functions is neutralizing acids that accumulate in the blood. For that, you need bicarbonate to neutralize acid in the dialysis fluid. GranuFlo provides the bicarbonate. Previously, dialysis clinics used a liquid form of bicarbonate solution, but Fresenius developed a powdered form that was less expensive to ship, and easier to store and handle. Total revenues from GranuFlo sales per year in the U.S. are estimated at a minimum of $80 million. Q: What is the problem with GranuFlo? Why is there a GranuFlo Recall Lawsuit? A: GranuFlo contains more of an ingredient that causes the body to produce bicarbonate than does its rivals. While GranuFlo isn’t dangerous in itself, the company provided incomplete mixing and administering instructions to clinics that used it. Patients ended up, in effect, overdosing on bicarbonates even though this could have been prevented with better training and instructions. Can A GranuFlo Recall Lawsuit Help Me? Fresenius introduced a dangerous product when safe alternatives were available in order to gain profits. The evidence shows that the company intentionally exposed patients to a potentially deadly risk by failing to warn doctors. If you or a loved one have suffered injury or death after kidney dialysis, contact Lopez McHugh for a free consultation; we can help determine if GranuFlo was used and if a GranuFlo recall lawsuit is right for you.